BOOM! SEE A PRICE REDUCTION! Don't wait! 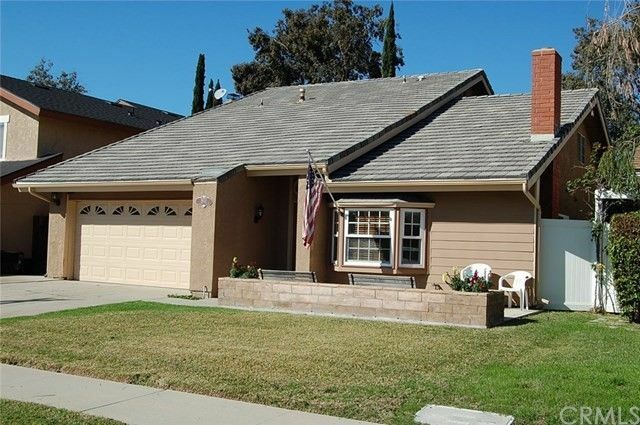 Don't Drive to Corona, your new home is right here! 5 real bedrooms, Large Closets, Family Friendly Kitchen with refrigerator! Vaulted ceilings and gas fireplace greet you in the living room. Plus 2 large bedrooms are downstairs with a redesigned bathroom. From the Family room you make your way out the french doors to a huge patio/balcony that also has a built in natural Gas BBQ set up! Nice grassy area for pets, Extra storage on side on home and over garage make hiding decorations a snap! The extras are numerous, Newer Concrete Title roof (no comp roof here!) Energy efficient windows, NEW energy efficient HACV system, Large 2 car garage with cabinets, Water softener, Washer/Dryer and TANK LESS WATER HEATER! Upstairs even has a game room, homework room, or guest room. New carpet in bedrooms, Tile in Living Room/Dining area. Spa tub in upstairs bath. Walk in closets in 3 bedrooms. Best Schools, EZ access to shopping/ entertainment and services. Walk to local schools! Many extra's included, to make your next home, your home fast! Directions: Santa Ana Canyon East of Imperial Hiway.